My office has received several inquiries recently concerning later model year motorhomes (Tiffin, Fleetwood, etc.) equipped with Ford Motor Company V10 gas engines. The main complaint with the V10 gas engines is that they loudly squeal/screech under load. It appears this noise may be the result of the engines having, among other things, defective fan clutches. Unfortunately, replaced fan clutches or other replaced engine components do not seem to correct the squeal/screech noise. For owners of motorhomes equipped with the Ford V10 gas engine who purchased the RVs in California, the California Lemon Law may entitle you to a repurchase of the RV and/or other remedies. 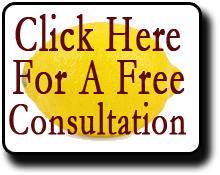 If you would like a free consultation concerning the California Lemon Law, please contact us by phone at (866) 360-6886 or e-mail at info@davidjfarrell.com.